The unaccompanied Nunc dimittis, H127, was written in 1915 and remained in manuscript form until 1979 when a published edition appeared, revised by the composer’s daughter, Imogen Holst. 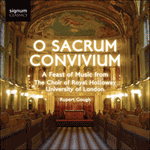 For soprano and tenor soloists and unaccompanied eight-part choir, the piece was written for Richard Terry, then organist of Westminster Cathedral. It was first performed liturgically on Easter Sunday, 1915, after which it was totally forgotten. 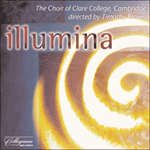 The first performance of the revised version was given by the BBC Singers under Stephen Wilkinson on 11 June 1974 in Framlington Church. Holst was passionate about the music of Byrd and Palestrina, which is clearly shown here in the modal writing, and the way the male and female voices of the choir answer each other antiphonally as, for example, at the words ‘Lumen ad revelationem gentium’. The piece was originally composed in B flat, although for the revised version recorded here the music was transposed down a semitone to A. It makes a fitting conclusion to this recital of wonderful but little-known music whose current neglect is as baffling as it is inexcusable. Le texte de la Chanson de Siméon—le Nunc dimittis—apparaît dans l’Evangile selon saint Luc, dans les complies de l’Église catholique et dans la prière du soir anglicane. Cette mise en musique de Gustav Holst pour chœur mixte non accompagné à huit parties, utilise la version latine tirée de la Vulgate. Ecrite en 1915, elle fut chantée pour la première fois à la cathédrale de Westminster en avril de la même année, dans le cadre d’une série de pièces chorales que Sir Richard Terry, alors maître de musique de la cathédrale, avait commandées aux principaux compositeurs de l’époque—série à laquelle contribuèrent non seulement Holst, mais aussi notamment Stanford, Vaughan Williams, Arnold Bax et Herbert Howells. Die Worte des Simon—das Nunc dimittis—sind aus dem Lukas-Evangelium, aus dem Komplet der katholischen Kirche und dem anglikanischen Abendgebet bekannt. Gustav Holsts Umsetzung für achtstimmigen gemischten Chor ohne Begleitung beruht auf der lateinischen Version im Vulgate. 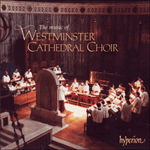 Es stammt aus dem Jahr 1915 und wurde erstmals in der Kathedrale von Westminster im April des gleichen Jahres gesungen, als eines einer Reihe von Chorstücken, die der erste Master of Music der Kathedrale Sir Richard Terry von führenden Komponisten jener Zeit erbat. Nicht nur Holst, sondern auch Stanford, Vaughan Williams, Arnold Bax und Herbert Howells trugen unter anderem zu dieser laufenden Serie bei. Gustav Holst (1874–1934) was of Swedish ancestry, the son of Theodor von Holst who taught the harp and the piano from his home in Cheltenham. Gustav began composing at an early age—although his father did not encourage this—and, after studying with Stanford at the Royal College of Music, he became a trombonist, touring with the Carl Rosa Opera Company. In 1905 he became music master at St Paul’s Girls’ School, Hammersmith, and in 1907 music director at Morley College. He held both these posts until his death. He was also appointed to posts at the Royal College of Music and at University College, Reading. He was also a visiting lecturer in composition at Harvard University and was awarded the Royal Philharmonic Society Gold Medal in 1930 and the Howland Memorial Prize from Yale University. Holst’s contact with church music was not extensive and he was certainly not a church composer; his other interests included learning Sanskrit to know more of Hindu literature and philosophy as well as reading about the space-time continuum. 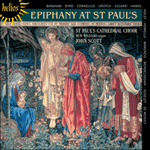 The eight-part Nunc dimittis was written in 1915 at the request of Richard Terry, who was then organist of Westminster Cathedral. It was first performed there on Easter Sunday in the same year, but did not enter the repertoire. The original manuscript disappeared and emerged as a part-autograph score some years later. 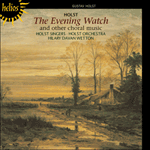 It was edited and revised by Imogen Holst and given its first concert performance in Framlingham Church on 11 June 1974 as part of the 27th Aldeburgh Festival.